In my work, I get to interact with Scrum teams on a regular basis. Over time, this has allowed me to observe the many different ways in which such teams can succeed or fail. For instance, just some time back, I attended another Scrum team’s retrospective session as an Agile coach. As the team reflected on what had gone poorly and what had gone well, some of the statements I heard were along the lines of- Our Product Owner is not involved, what is the vision of the Product Owner, why are we doing this work, and for whom are we delivering this stuff? In one way or another, each of the team members was saying essentially the same thing- that they were missing the Product Owner. And it was true- the Product Owner was missing even during the retrospective. So right after the session, I arranged a meeting with him. I told him that the team was missing him and that if things went on in this vein, the team would not deliver properly. That’s exactly what happened in the next Sprint. The team failed to deliver on what it had promised, because the vision was not clear, and because they were simply not motivated. It was a bad experience all around, and this is what got me thinking about the role and importance of a Product Owner. Undoubtedly, a Product Owner’s life is not easy. Multiple meetings and projects, conflicting priorities, many different stakeholders, and most importantly, managing up (expectations of stakeholders) as well as down (expectations of team members) – all of this is par for the course. On top of this are the multiple pressing deadlines to which the team has to deliver. One must know how to prioritize, how to multi-task, and how to facilitate good work. 1st– How does he deal with his environment? 2nd– How well he works with his team? 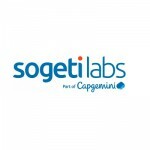 3rd– How does he handle the SCRUM rituals? How does he deal with his environment? – How well he deals with his department and organization: One of the critical responsibilities of Product Owners is to make sure that the work being done by their teams is contributing to the vision of the larger organization. 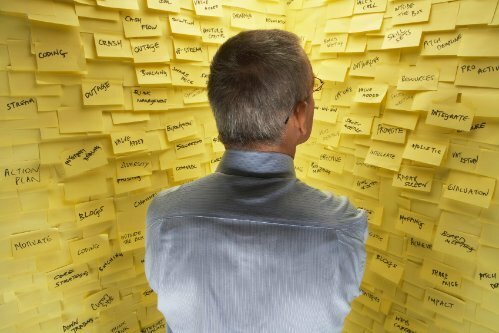 In other words, the team’s product backlog must be in sync with the department’s backlog. There’s an interesting story to be told here. In my department, my team is basically facilitating performance testing work for many different internal teams. During one such performance testing, where I was working as a Product Owner, we delivered on our task to a very level of satisfaction from the stakeholders. It was one of my first engagements as a Product Owner, and I was feeling quite pleased with myself as I went in for a meeting with my own Department’s Product Owner lead/ Chief Product Owner. Unfortunately, the meeting did not go as I had anticipated. It turned out that the team I was facilitating was out of the scope of our Department’s work. I was asked why I was spending so much of my teams time and energy on something that did not advance our Department’s backlog. This was a case, where even though the team delivered good work and had happy stakeholders the result was not good because our work was not in sync with that of the Department. And in this case, the responsibility for this fell squarely on my shoulders, the Product Owner. Since that day, I have always been extra careful to make sure that my team’s backlog and priorities are in sync with those of the wider organization. – How well he deals with his stakeholders: The only reason we exist as a team, is so we can add value for our customers. And it is the Product Owner’s responsibility to understand the needs, requirements, and deadlines of the stakeholders, so the team can deliver the results required. 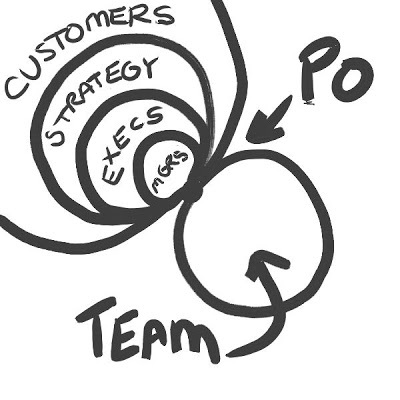 This requires regular meetings between the Product Owner and the stakeholders. Personally, I try to meet all my stakeholders at least once every two weeks. This helps me avoid situations where stakeholders suddenly surprise me with last-minute requests and then pressurize me to meet unrealistic deadlines. In other words, proper stakeholder management avoids a lot of unnecessary stress for the team and allows them to properly plan out their workload and expected deliverables. One key aspect stakeholder management that is often missed out is the ability to prioritize between the competing demands of different stakeholders. For instance, at the moment I am facilitating a lot of stakeholders and as a rule, each of them is only interested in what they are doing. Earlier, in such situations, I would myself decide the priority according to which my team would work on their demands. However, over time I have developed a system of having twice weekly meetings where I bring together all the stakeholders for whom I’m working in a given period. In the meeting, I give them all a status update and place before them all the items my team is working on in a given period. We then start a discussion on the priority in which different tasks are to be taken up. Once they know my workload, the stakeholder’s can discuss this directly amongst themselves, of course, with a lot of moderation from my side. Through their discussion, the stakeholders almost always reach a consensus on what the most important items are and this helps my team immensely. It also allows the stakeholders to get to know each other and understand each other’s goals as well as dependencies. This system works quite well, especially since I am working with internal teams. How well he works with his team? Ownership: This basically refers to actively owning the product backlog. This ensures that your team works on the right items at the right time and that the outcome of its work is productive and valuable. Involvement: A Product Owner must be involved with the team and know what his or her team is working on. This does not mean that you have to be with your team every day and every hour but you should at least be available to your team if required and be present during SCRUM rituals. This is the part that can often be challenging for Product Owners as they are always busy with meetings, stakeholders, budgets, resources and HR etc. 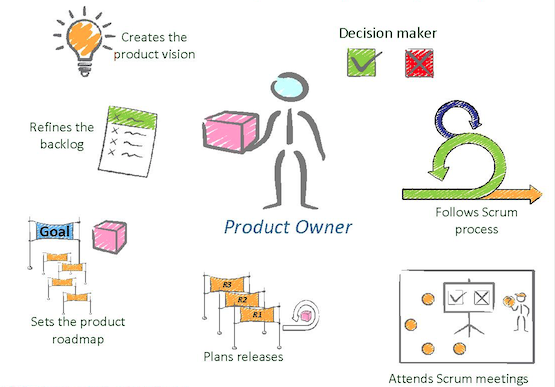 Vision: It is the Product Owner who is responsible for coming up with a vision for the team. This, however, does not mean a lifeless statement written on a piece of paper. The vision must be a living, breathing goal that the Product Owner impresses into the teams’ DNA. In order to do this, he or she must never lose the chance to point it out, explain it and relate it to everything that is going on at a given moment. This again can only be done by a Product Owner who is present during team meetings and Scrum rituals, especially the retrospectives. Being a protector: It is the Product Owners responsibility to provide a safe and conducive work environment for his or her team. This means that you as a Product Owner must shield your team from management and customers who want their work done faster and faster. Often such stakeholders will try to reach out directly to the team and pressurize them to focus on their work. This is what a Product Owner should try and avoid so their team is not distracted from the work at hand. How does he handle the SCRUM rituals? – Daily stand-up: This ritual is more for the team rather than the Product Owner. His role in this meeting is to be an observer. As such this is the ritual that the Product Owner can even skip. However, he or she must make sure that they attend this ritual at least once or twice in a week as missing more that will mean losing track of what the team is doing and how their work is progressing. – Backlog refinement: In my opinion, this is the most important ritual in SCRUM and the owner of this ritual is the Product Owner. 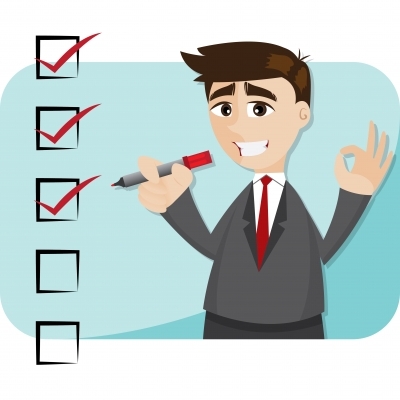 Therefore, it is absolutely essential for the Product Owner to be present during these meetings. It is the Product Owner who should decide on the five or six issues (story’s) that are most important to be refined at this moment. In the backlog refinement, the Product Owner should explain what he wants the team to deliver for each of the stories and why. 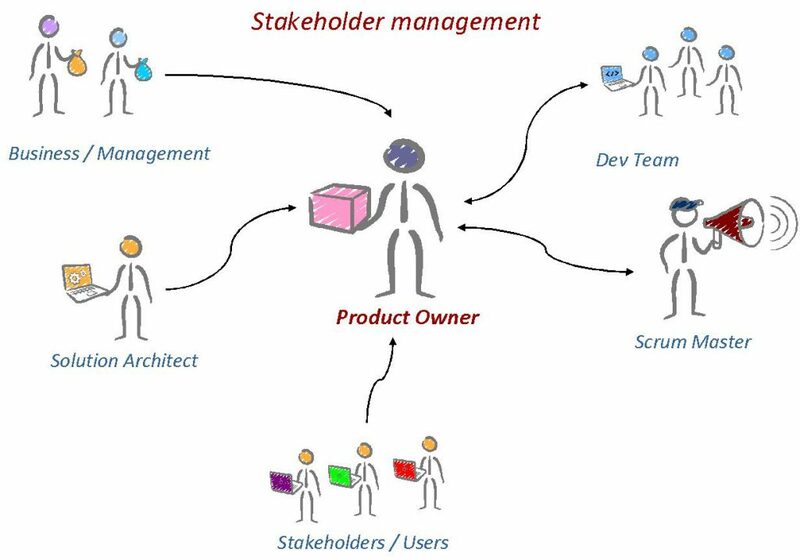 Explaining the why also requires that the Product Owner is in sync with the stakeholders. – Demo: The owner of this ritual is the whole team while the Product Owner plays the role of a host. During the Demo, you show the stakeholders what you have delivered over the last sprint. So it is the Product Owners responsibility to make sure that the stakeholders whose work has been done over the last sprint are invited to this meeting and also make the time to be present. The Product Owner interacts with the stakeholders telling them what all has been done while the team actually carries out the Demo. – Retrospective: This is the session after each Sprint where the whole team including the Product Owner discuss what went right, what went wrong and what can be done to improve. Just like everyone else, the Product Owner’s role is not really to criticize the team but to help everyone, including himself, to improve. – Sprint Planning: The owner of this session is the Product Owner whose job is to prioritize the issues (stories) for the next Sprint keeping in mind the teams’ bandwidth (velocity) and their stakeholders’ deadlines and the promises made to them. During the session, you discuss the items already picked up during the backlog refinement session but with a focus on planning for the next Sprint. So during this session, the Product Owner basically sets the priority and discusses with the team how much they can take on at that time. Based on the team’s feedback, the Product Owner refines his priority list so that the team has the right scope of work for the next Sprint. In conclusion, a Product Owner’s job is a tough one. 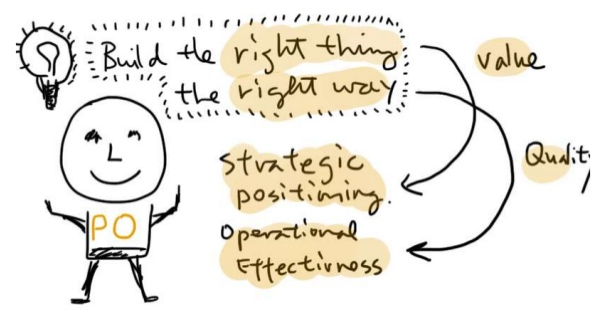 However, focusing on the above three points ie: dealing effectively with the environment, engaging productively with the team and participating in all the Scrum rituals will help you become a successful Product Owner.